FREE film screening this Wednesday at the library! There will be a free movie screening celebrating 100 years of Canadian film for National Canadian Film Day! Free popcorn and prizes will be provided! 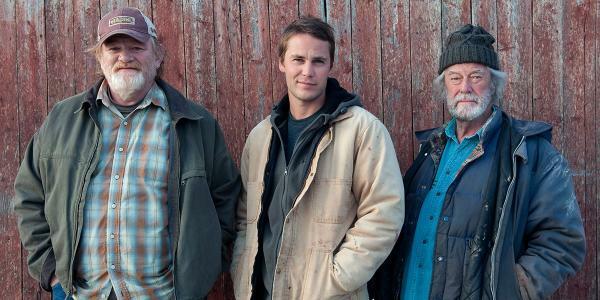 The film, The Grand Seduction, will be screened. It is a Canadian comedy filmed in Newfoundland and premiered at the Toronto International Film Festival. The movie was released nationwide in 2013 and across the United States with box office success. It stars Canadian actor Taylor Kitsch (Friday Night Lights, John Carter, X-Men Origins: Wolverine) and Emmy award-winning Brendan Gleeson (Harry Potter and the Goblet of Fire, Cavalry, Troy). Enjoy a free film to de-stress before finals!